Supply chain planning software and suites help businesses during the supply chain planning phase with demand planning and setting up a supply chain from end to end, including inventory planning, replenishment planning, order planning, and production planning. Supply Chain Planning reviews by real, verified users. Find unbiased ratings on user satisfaction, features, and price based on the most reviews available anywhere. Oracle SCM Cloud offers a full suite of applications for companies to manage their supply chain, distribution, manufacturing, inventory management, and fleet. AIMMS is a forward thinking software platform provider democratizing the use of prescriptive analytics so everyone is self-enabled to make better decisions. Whether you seek to improve your strategy, planning, operations or transform your entire supply chain, AIMMS software is the ideal combination of being tailored to your unique situation paired with speed to value (ROI). That's why teams at Shell, Johnson & Johnson, GE and Heineken and many more fire up AIMMS every day. Powerful and Intuitive Modeling and Optimization software The AIMMS Prescriptive Analytics Platform is the technology of choice for operations research and analytics professionals for building and delivering solutions that improve business performance. Our software leverages the power of mathematical optimization and modeling to provide companies with a competitive edge and quantifiable results. We have been a trusted analytics technology for nearly three decades with usage by thousands around the world. You can create custom solutions to tackle your specific strategic or operational problems across a broad range of functional areas. The comprehensive platform has everything you need. The development tool (AIMMS Developer) enables you to quickly build custom applications, while the deployment tool (AIMMS PRO) enables you to instantly provide solutions to the end users in need of better decision power. The platform can be deployed in the cloud or on premise. JDA Inventory Optimization provides companies with end-to-end capabilities for managing inventory strategy, planning and execution, enabling them to gain market share and reduce costs. With more than 1,300 customers worldwide, Logility is a leading provider of collaborative supply chain optimization and advanced retail planning solutions that help small, medium, large, and Fortune 500 companies realize substantial bottom-line results in record time. Logility Voyager Solutions™ is a complete supply chain management and retail optimization solution that features advanced analytics and provides supply chain visibility; demand, inventory and replenishment planning; Sales and Operations Planning (S&OP); Integrated Business Planning (IBP); supply and inventory optimization; manufacturing planning and scheduling; and retail merchandise planning and allocation. Logility customers include Big Lots, Fender Musical Instruments, Husqvarna Group, Parker Hannifin, Verizon Wireless, and VF Corporation. Logility is a wholly owned subsidiary of American Software, Inc. (NASDAQ: AMSWA), named one of the 100 Most Trustworthy Companies in America by Forbes. For more information about Logility, call 800-762-5207 USA or visit https://www.logility.com. Respond to new market expectations with real-time supply chain planning capabilities and fulfill future demand profitably supply chain management. 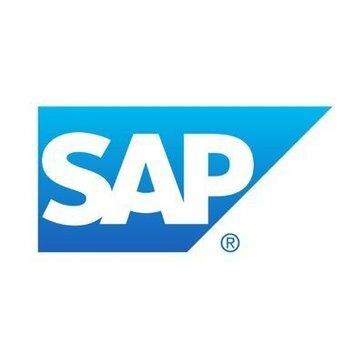 Powered by in-memory computing technology within SAP HANA, this cloud-based solution combines capabilities for sales and operations; demand, response, and supply planning; and inventory optimization. - Cloud deployment - Real-time scenarios and simulation - Social collaboration - Powerful predictive Analytics KEY BENEFITS: Achieve a rapid deployment Get up and running quickly with SAP Integrated Business Planning by using preconfigured process templates for an accelerated implementation. Empower employees with intuitive features Offer a unified, intuitive user experience with SAP Fiori and planning and simulation capabilities based on Microsoft Excel. Plan resources effectively Optimize resource efficiency by creating supply plans based on prioritized demands, allocations, and supply chain constraints. KEY CAPABILITIES: Integration with SAP Supply Chain Control Tower Gain end-to-end visibility of your supply chain, decision support, and fast corrective action through integration with SAP Supply Chain Control Tower. Forecasting and demand management Get full demand transparency with short-term, mid-term, and long-term forecasting. Take advantage of best-in-class capabilities for demand sensing and statistical forecasting. Inventory optimization Establish optimal inventory targets that enable you to maximize profits, while leaving a buffer to help you meet unexpected demand. Sales and operations planning Deliver a cross-departmental sales and operations plan that balances inventory, service levels, and profitability. Response and supply planning Optimize resourcing efficiency by creating supply plans based on prioritized demands, allocations, and supply chain constraints. When orders come in, you should be able to reliably promise availability and meet aggressive commitments all in real-time. In conjunction with your Order Entry system, Adexa's IBP, Precision ATP solution, provides real-time Capable to Promise (CTP) and Available to Promise (ATP) information while you place the order; even if only part of the order will be ready using current materials and capacity information. Collaborative Demand Planning is a combination of rigorous forecasting algorithms to predict future demand as well as collaboration amongst the internal and external stakeholders. In the absence of the right environment and accurate forecasts, the likelihood of lost sales, because of too little inventory or excess inventory, increases drastically. Adexa IBP offers network optimization as an integral part of its solutions to aggregate, synchronizes and optimize multi-site, multi enterprise procurement, production and distribution plans. It ensures financial targets are met on a local and enterprise scale. It dynamically identifies and corrects the inefficiencies in the operations plan to eliminate the symptoms of poor planning. It delivers a critical, intelligent link between financially driven Operations planning and Demand planning within the SAME system. Adexa Supply Chain Planning solutions, an integral part of Adexa IBP solution, supports constraint-based planning with a comprehensive, inter and intra-enterprise-wide model to synchronize supply with demand across the entire resources of your multi-site, multi-tier supply chain. AEB Supply Chain Collaboration works together with all your supply chain partners. The functionalities include continuous bi-directional status exchanges at every level transport, order, consignment, or the individual item. Processes such as order assignment, notifications, shipment tracking, proactive alerts of unplanned events, and delivery confirmations are largely automated. AIM Vision Supply Chain Management (SCM) solutions facilitate better management of the supply chain community by streamlining the planning and management of all activities involved in sourcing, procurement, and logistics management. The Arkieva Demand Planner is about bringing together people in a business that don't usually work side by side. This empowers them to be able to understand the totality of their business, from forecasting to inventory and sales. The Arkieva Finite Scheduler is designed from the ground up to support the needs of the modern supply chain. Scheduling and distribution functions are integrated in the production-planning software, making the entire production-distribution chain visible to the end user; from shop floor to shipment schedule. The Arkieva Inventory Planner supports sustained inventory reductions by providing a comprehensive view of how stocks are serving customer demand. Many Arkieva users report inventory reductions of up to 15%, and simultaneously experience an enhanced ability to satisfy orders with their reduced stock. Arkieva has designed its Multi-Echelon Inventory Optimization (MEIO) module as a comprehensive tool to calculate these safety stock targets. It takes into account demand and lead time variability at each echelon and node and uses a sophisticated algorithm to calculate the targets in a multi-echelon way. It also enables scenarios and allows comparison of these scenarios with each other. This module combines advanced MEI capabilities with the data management, analytics, and reporting engine within the Arkieva Software. The Arkieva replenishment planner provides a fast and accurate solution to multi-echelon supply chain planning; ensuring that the right quantity and mix of product is shipped to the right location at the right time. Integrated exception planning capability allows S&OP planners to react to potential problems quickly and effectively. John Galts Atlas Planning Suite is an end-to-end that streamline S&OP process to take advantage of a comprehensive supply chain planning solution it provides visibility, statistical forecasting, enhanced collaboration across the organization, inventory management, capacity planning and finite scheduling. Blue Ridge Supply Chain Planning is a cloud-native supply chain planning designed to help retailers & distributors boost cash flow & improve margins. Allows shippers to instantly generate transportation freight quotes, schedule and track shipments, manage carrier contracts and consistently reduce costs by increasing efficiency. CargoNet is a complete ERP for Freight Forwarding and CHA Community which is a single centralized framework to integrate and automate all Operational and Financial processes for a Logistics Firm , with the aim of increasing operational efficiency and improving the accessibility and flow of information across all departments and Branches. DemandCaster is a supply chain planning software, where you can advance the sales and operations planning (S&OP) process with accurate supply plans that keep your financial and service objectives in harmony. Shortens the window of firm orders in factory and supplier schedules, and dramatically reduce MRP-driven order instability. And this frees up planners from expediting and order administration to focus on real planning issues. Position the right stock at the right time at the right place, reducing inventory levels by an average of 40% while improving service levels. Reduce cost and increase profit with our affordable supply and demand planning tools. Achieve consistently profitable, execution-ready plans that balance demand, supply and financial goals to facilitate consensus across internal and external stakeholders. Exabler is innovative all-in-one software for importers and exporters. FuturMaster Advanced Promotion Management improves the efficiency of promotional campaigns by increasing the reliability and visibility of information, whilst closely monitoring promotional performance. FuturMaster Distribution Planning manages every level of the distribution chain, developing realistic scenarios (considering distribution network, supply constraints, shutdowns, etc.) and optimising your existing operations (quality of service, stock availability, waste, logistics-related costs). FuturMaster Procurement manages the procurement of both end products and components in line with supplier constraints, availability targets and quality of service requirements. FuturMaster Scheduling optimises the sequence of orders on the production line and improves use of equipment, taking into account any downtime and resource availability. GAINSystems is a pioneer in technology for optimizing supply chains, and our team has seen just about everything. That why we developed a comprehensive approach that considers error and variability across supply, demand & operations. You can rest assured that our supply chain experts will work side-by-side with yours and together weÕll think of everything -- ultimately producing stellar results. Our LMS is designed for optimum Logistics Management performance, covering Warehouse Management System (WMS), Transport Management System (TMS), Freight Management System (FMS) and Order Management System (OMS) solutions. ICRON bPort (Web-Based Business Analytics and Reporting) compiles all of your current and historical operational data and converts this information into insights in the form of advanced analytics and reporting. With ICRON's Optimized Decision Making and Supply Chain Optimization platform, you can gain the control and insights you need to optimize the operational, tactical, and strategic planning and execution across your supply chain. ICRON's groundbreaking, algorithm-based APS solution rapidly generates production, distribution, inventory, and procurement plans that optimize capacity constraints, costs, service, and margins. Hi there! Can I help you find the best Supply Chain Planning solutions?